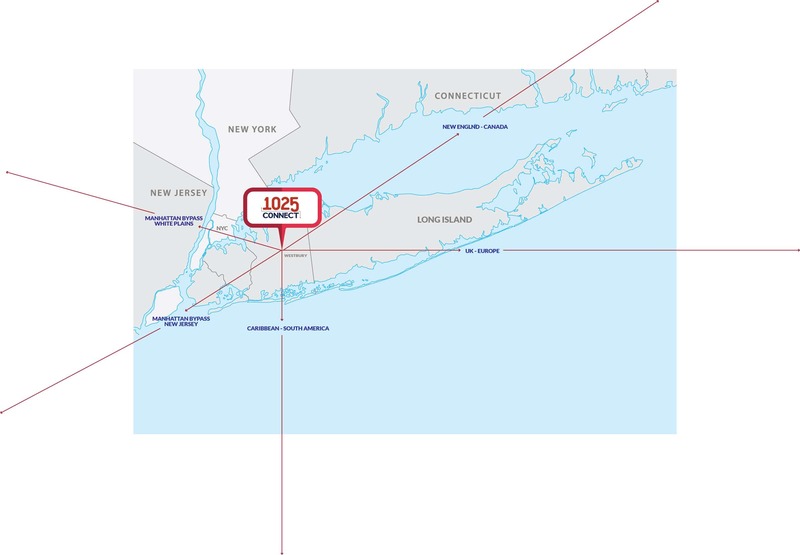 Ambitious – 1025Connect is aiming to become the most interconnection-dense facility in Long Island; already with a leading position as we head into 2019. Competitive – No monthly recurring cross connect fees. Period. Flexible – We are a carrier-neutral interconnection facility – open to the community. Alternative – At our site, we offer direct access to Manhattan Bypass Fiber Routes, allowing customers to avoid digital traffic jams. Enabled – With a DE–CIX switch onsite, we leverage a global network of 1,500 ASNs and the benefits of the largest internet exchange on the planet. MAC Hollywood, FL and St. Croix, U.S.V. I. Customers benefit from the density of both global and domestic subsea cables as well as the domestic bypass routes / terrestrial distribution lines. Connectivity is essential to an interconnection fabric. We have strategically chosen to develop 1025Connect as a hub for global and domestic data transport for a few companies.